Methodist Children’s Hospital of South Texas, a campus of Methodist Hospital, opened its new seven-story tower this week. 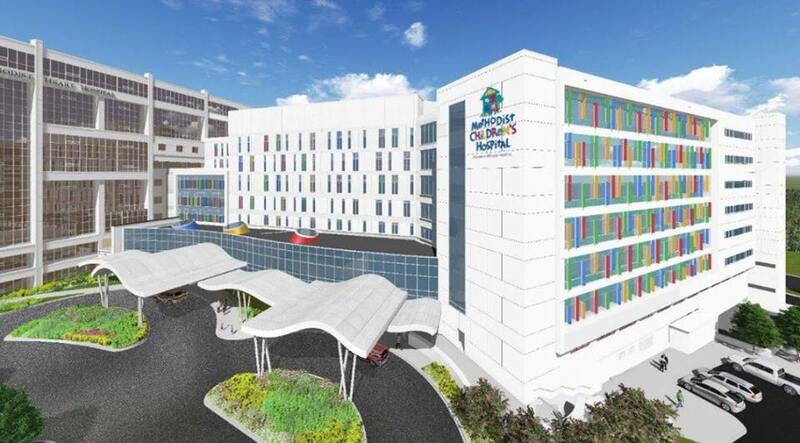 The new tower includes 150 rooms, most of them private; a dedicated children’s imaging department with a new, state-of-the art CT scanner, MRI with the most advanced cardiac imaging capabilities, nuclear medicine camera, ultrasound room and x-ray rooms. The 94-bed neonatal intensive care unit, still the region’s largest, has board-certified neonatologists in-house 24/7 and is the city’s only Texas Department of Health-designated Level 4 neonatal intensive care unit. The new tower also includes 15 additional ER rooms, bringing the total to 40. Since opening in 1998 as the first and only hospital in San Antonio and South Texas designed and built just for children, Methodist Children’s Hospital has set the standard for treating the children of South and Central Texas. The hospital continues to lead the region in treating severely ill children, those with complex and chronic medical diagnoses, by providing the most sub-specialized care available. The new tower is part of a landmark expansion which will increase the footprint of the Methodist Hospital campus by 445,000 square feet.